Vintage Liquids Temperature gauge with Taylor Candy Guide written down the side. The thermometer has candy making guidelines letting you know at what temperature what kind of candy you will make, it reads "hard crack", "soft crack", "hard ball", and "soft ball" . 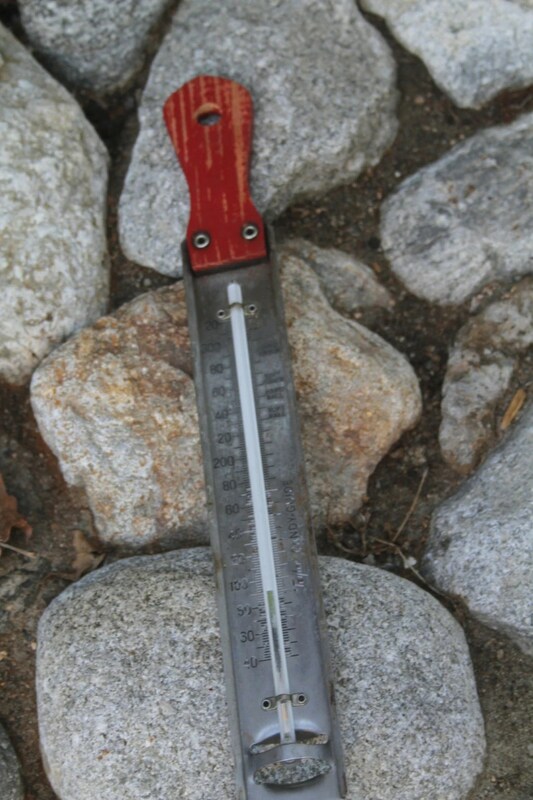 Thermometer is in good shape with some fading of the red handle and some rustic areas. The back has a clip, that can slide enabling it to be hung in different places or depths. The back clamp can be used to hang thermometer for display. The wood handle is very 1950s and country kitchen. This entry was posted in http://feedproxy.google.com/~r/JujubefunnyFinds/~3/v2CEMa1o8xw/vintage-kitchen-thermometer-w-rustic1388332943 and tagged IFTTT. Bookmark the permalink.